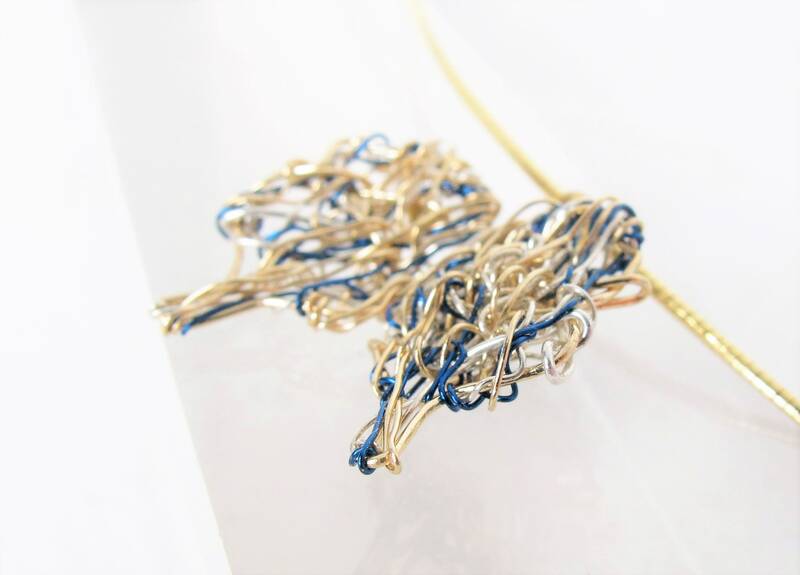 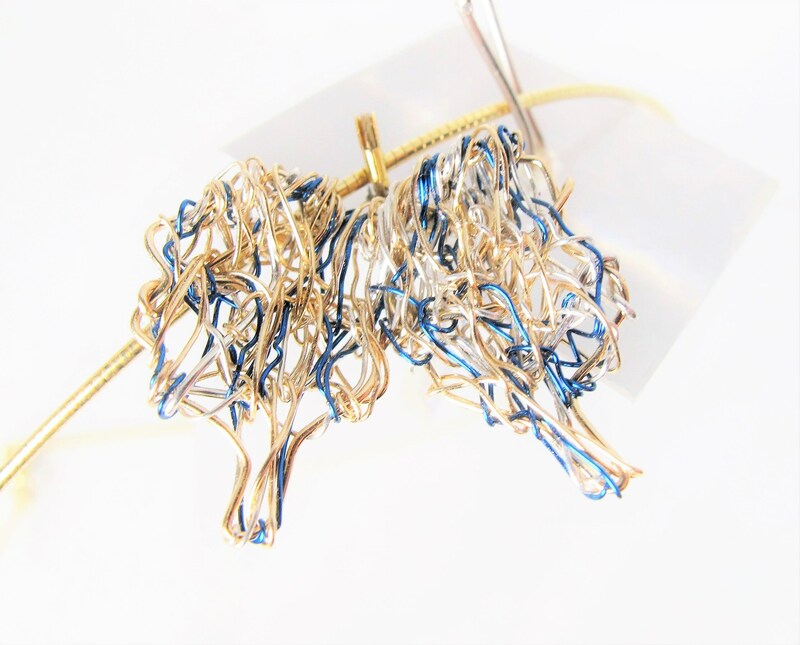 Wire angel wings necklace made from 14k solid gold, solid silver and colored copper wire. 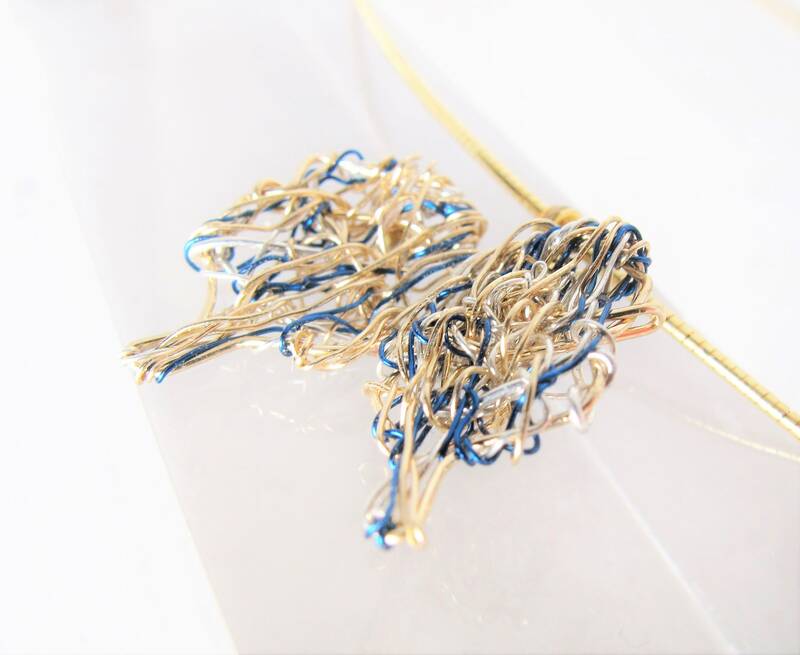 The height of the yellow gold pendant is 2cm (0,79in) and the wingspan is 2.6cm (1,02in). 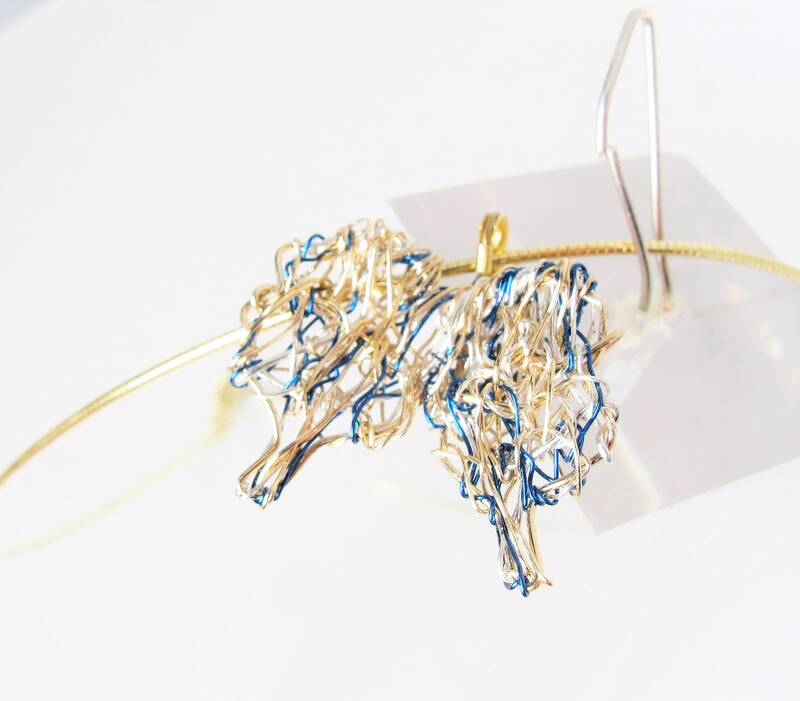 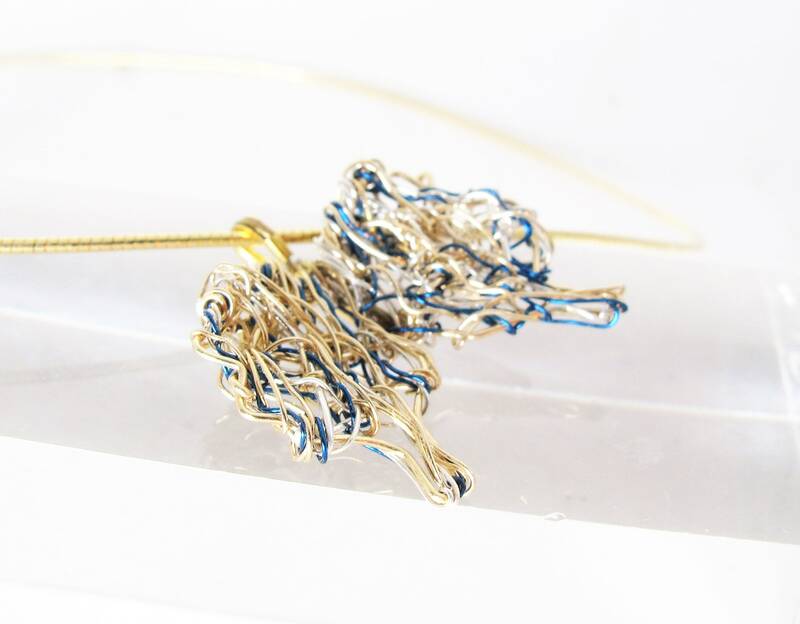 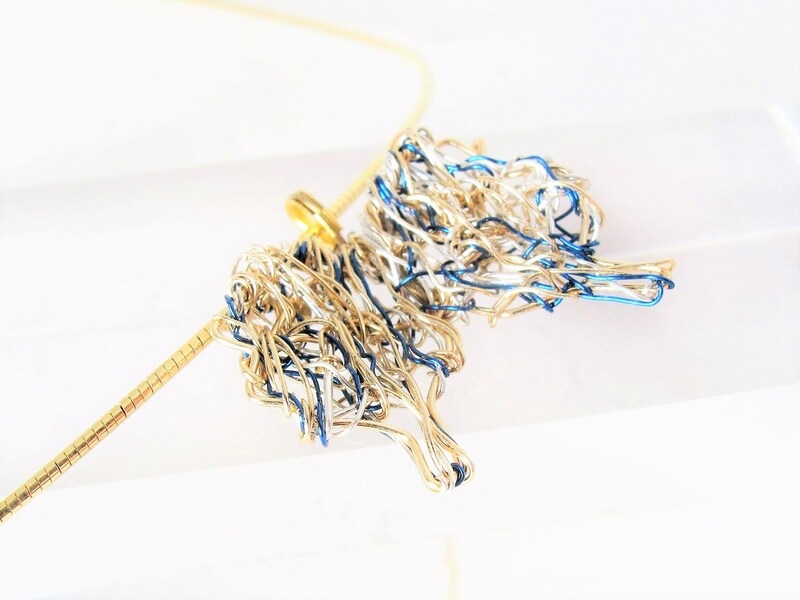 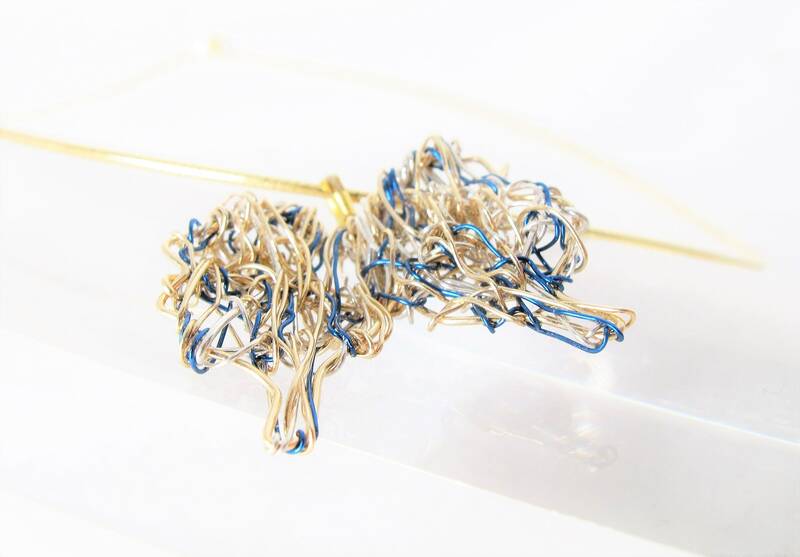 The butterfly hanging from a 14k gold plated solid silver wire and the closure is gold 14k.